The U.S. Department of Labor’s Occupation Safety and Health Administration will be conducting a national outreach initiative in an attempt to help to educate workers and employers about the hazards of outdoor work. Proper precautionary steps need to be taken by those working outdoors in an effort to reduce the risks of heat-related illnesses and other work injuries in Boston and elsewhere. Our Boston workers’ compensation lawyers understand that working conditions can vary tremendously for outdoor workers. 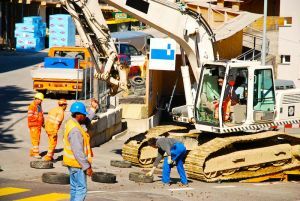 It is recommended that such workers educate themselves about proper measures to protect their health in all working conditions, especially during the hotter months. Thousands of workers experience heat illness each year. The illnesses often manifest as heat exhaustion. If you suffer from heat exhaustion on the job and do not address it quickly, you greatly increase your risks for experiencing a heat stroke. This is a serious problem as heat strokes killed more than 30 workers last year. Heat dangers strongly affect those who work as landscapers, construction workers, road repairmen, outdoor airport luggage workers, agriculture workers and even car salesmen.